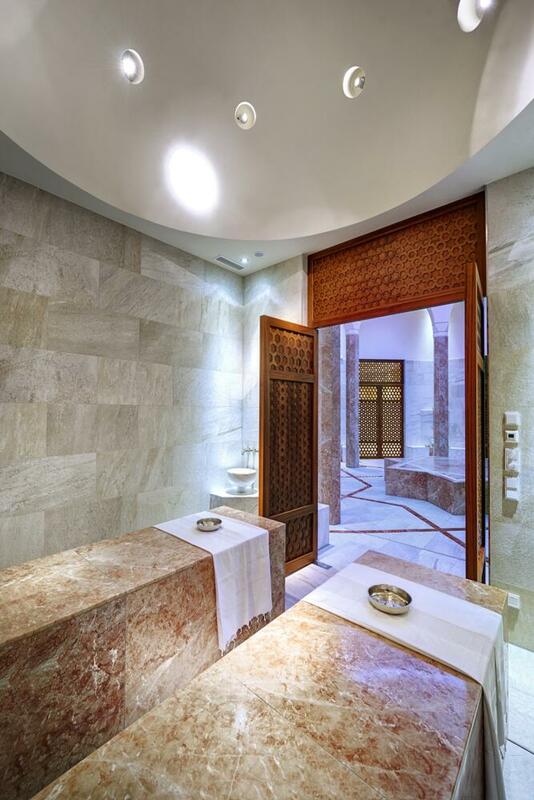 The Oriental World with hammam mesmerises all the senses. Inspired by sensual aromas from the Orient, this is the perfect refuge to find peace and escape everyday life. 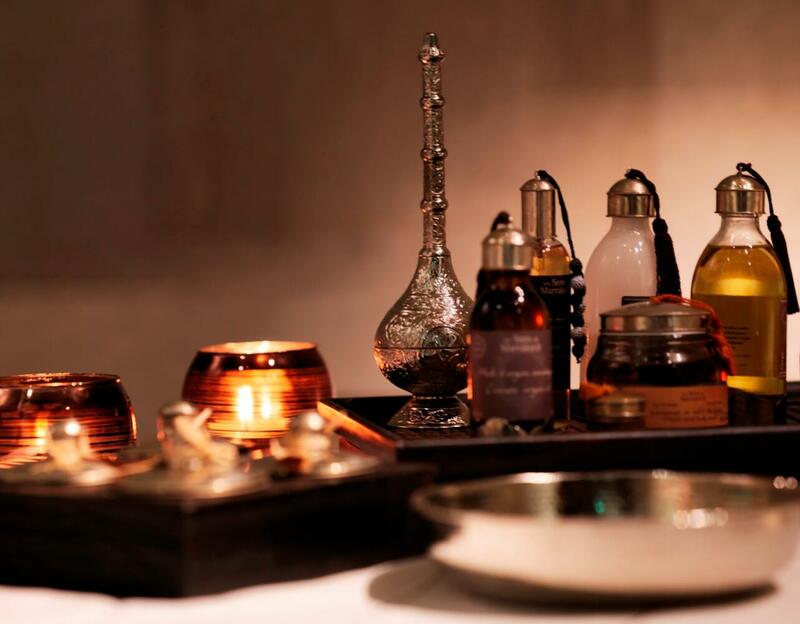 Featuring a heated navel stone (the main focal point of the Hammam), a serail mud chamber, CHAI Oriental tea bar, open arcaded courtyard and rooftop garden with a Finnish sauna, the Oriental World has absolutely everything you could wish for. 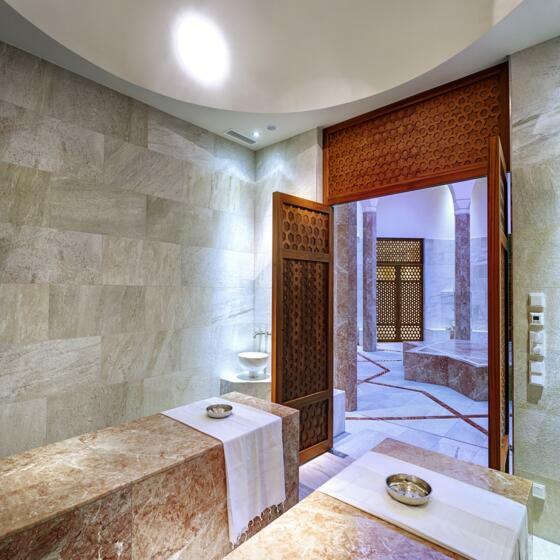 Wrap yourself up in a pestemal (a special towel for the hammam) and enjoy the Oriental hammam ritual for all the senses. 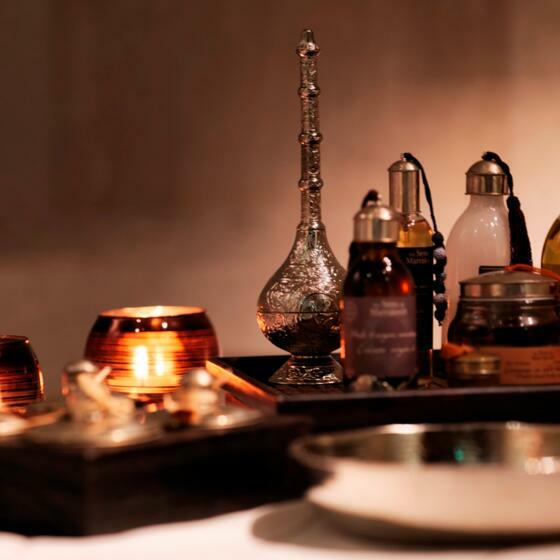 You are welcome to use the Oriental World and hammam every day from 9.30am until 7.30pm. As a hotel guest, access to the Oriental World is included with your stay. As a day guest with spa entry, we offer you the option of paying a surcharge of €25.00 in order to use the area. Access for those aged 10 and above.